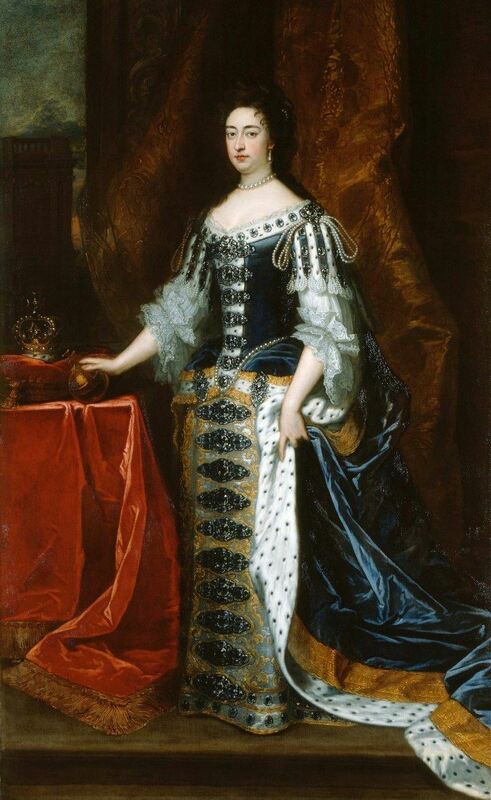 Mary II was Queen of England, Scotland, and Ireland, co-reigning with her husband and first cousin, King William III, from 1689 until her death in 1694. William and Mary, both Protestants, became king and queen regnant following the Glorious Revolution, which resulted in the adoption of the English Bill of Rights and the deposition of her Roman Catholic father, James II. Mary wielded less power than William when he was in England, ceding most of her authority to him, though he heavily relied on her. She did, however, act alone when William was engaged in military campaigns abroad, proving herself to be a powerful, firm, and effective ruler. In late 1694, however, she contracted smallpox. She sent away anyone who had not previously had the disease, to prevent the spread of infection. She died at Kensington Palace shortly after midnight on the morning of 28 December. William, who had grown increasingly to rely on Mary, was devastated by her death, and told Burnet that "from being the happiest" he was "now going to be the miserablest creature on earth".